China’s Great Firewall: How I helped my father break through. How I helped my dad break through China’s Great Firewall. 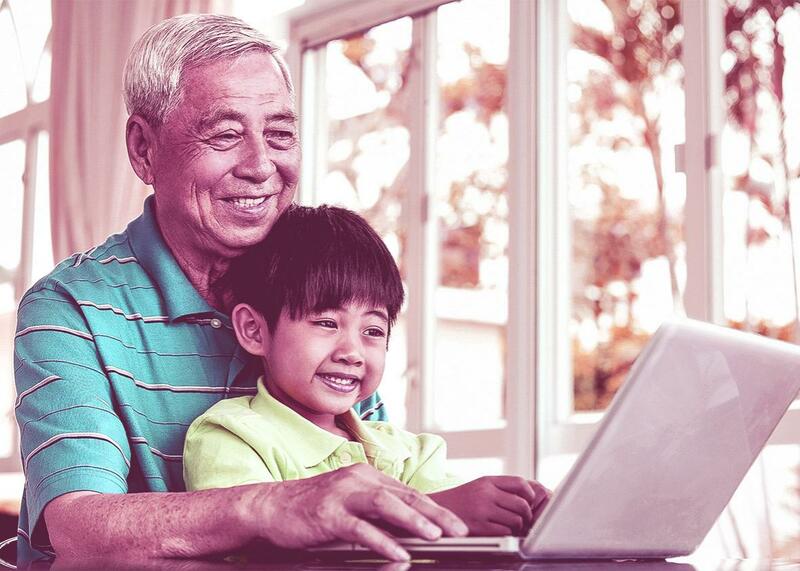 Nothing says happy Father’s Day in China like a VPN. Alarmed, I sat up in my chair and tried to make sense of this. My father had always said that the invented foreign festivals were decoys imported from America to sell cakes and carnations to China’s new middle-class gullibles. Even still, in recent years it had become customary for Chinese children to buy their parents gifts on Father’s and Mother’s days. Pressure from both Confucius and the consumer industry had become insurmountable, let alone guilt trips from Mum and Dad. Starting the year I got a job, each year my mother dropped hints about what gift she wanted. (At least she didn’t make me hand over a portion of my salary like some other Chinese mothers do.) But my proud father would never ask me for anything, I thought. “I’d like an Astrill account,” he replied, not skipping a beat. “I need to get over the firewall.” Astrill provides virtual private networks, which allow users to evade the censorship of the Great Firewall. Without a VPN, Chinese Internet users can’t use Gmail or Facebook, or read many Western news sites. China’s government does not like VPNs, but for the most part foreign-operated ones like Astrill are tolerated. My father is a natural businessman, although it wasn’t obvious at the beginning. Born in 1957 to a commerce bureau official and a math teacher, he had always been good with numbers. But his generation didn’t have much help in pursuing their interests, and options for their future were limited. They were, as Communist Party propaganda put it, “little screws” in the gigantic machine that constructed the People’s Republic. Young people were told to “go where the motherland needs it the most,” regardless of personal ambition. The party appointed a position to each of the little screws, who must keep their part of the machine working or be tossed away like scrap metal. Dreams and wishes were luxuries it was best to forget about. The Cultural Revolution started just when my father was preparing to go to school. Education suddenly became the arena of political games. Factions battled like gladiators with flyers, posters, and fists. With nothing else to compare it with, my father thought that was what normal school life involved—pledging to be loyal to whoever was in political favor. Ten years later the madness ended, and at the age of 19 my father left school having learned “nothing,” in his words. He was ready to work. Back then the party assigned jobs and salaries according to how long one had been working. The earlier you started working, the more food and clothing tokens you would get. My father got a job close to home at a state-owned factory in Jinan, the capital of Shandong province. The province had been assigned to produce and dye textiles for the nation. My father’s factory, Jinan No.1 Textile Dyeing Factory, would print patterns on blank fabrics, which would then be cut up and sent to shops across the country. Housewives traded fabric tokens for them to make clothes and curtains for their family. And so my father became a “little screw” in the machine that kept the People’s Republic clothed. (No nation is constructed naked.) The process of bringing fabrics from the factory to the shops fascinated him. He wondered how it was decided how many rolls of each pattern to print, and how to know which one would prove popular. He took a night school degree in economics and was promoted to be in charge of planning the production schedule. When the token system and the planned economy ended, my father helped his factory prosper even more in a market economy. In the late ’80s, he set up its export connections in Japan and South Korea. He got married, had me, and became the first man in his neighborhood to own a Japanese-made stereo sound system. Once he spent the equivalent of an average worker’s monthly salary on one smart suit. It was a new era, and things were going well. Then one day in the mid-’90s, everyone at the factory was laid off. China was privatizing most of its state-owned enterprises. Almost all of the workers were given a severance package and told to find employment elsewhere. He left the factory, took its clients with him, and set up his own company instead. He exported whatever he could—textiles and clothes at first, then automobile parts, porcelain, chemicals, and rubber, a foot soldier in the giant standing army of China’s manufacturing and export industry. Whenever the newspapers report on the enormousness of China’s foreign currency reserve, I think of tens and hundreds of thousand of fathers like mine, exchanging their sales revenue into yuan so they can pay for food, rent, and out-of-pocket medical bills. As my father grew older, his profit margin grew slimmer. In the past few years, he didn’t even make enough over costs to pay the flat-rate taxes to keep his company legal. But he refused to admit defeat. At the age of 57, his career in e-commerce began. He joined an online directory of Chinese exporters set up by Alibaba, the e-commence giant. Customers around the world clicked onto his website and signed contracts to source goods from Chinese factories. He set up a Google mail account to keep in touch with his buyers. (He tried Yahoo email, too, but the company’s China operation folded.) Although Google and many of its services had been blocked since 2009, Gmail was so widely used in the business world that it was considered too important to block. One day in May 2014, it took my father four hours to send an email to one of his clients. He didn’t know what was wrong. He rebooted his computer, reinstalled the operating system, and performed all the bug fixes he could think of. A few days later, he found out that the government had finally blocked Gmail, in anticipation of the upcoming 25th anniversary of the 1989 protests. Having advertised his email address, he couldn’t afford to switch. “The party makes life a survival challenge to weed out the weak,” my father joked. Weak he is not. After dodging disaster in the Cultural Revolution and the nationwide state-owned enterprise layoffs, and with high taxes for private industry, he was ready to jump over another wall obstructing his way. But this time, he needed my help. I bought him the Astrill account and helped him to set it up. Besides using Gmail, he has also started to access blocked Internet content from all over the world. He reads Chinese language news sites from New York, Toronto, Japan, and Taiwan. He watches documentaries on YouTube. He follows the Chinese editions of the New York Times, the Financial Times, and the BBC. (When I asked what he thought of their China coverage, he replied, “Not in-depth enough.”) He told me he felt a sense of freedom he had never felt before. This piece originally appeared on The Anthill. Future Tense is a collaboration among Arizona State University, New America, and Slate.